We have had a running battle with these little critters, attempting to buy bird feeders that claim to be squirrel proof. I thought I was oh so clever hanging the feeder from wire fishing leader that was so fine I never thought a squirrel could climb down to the feeder. And, for a while I was patting myself on the back … until today. The picture tells the story. 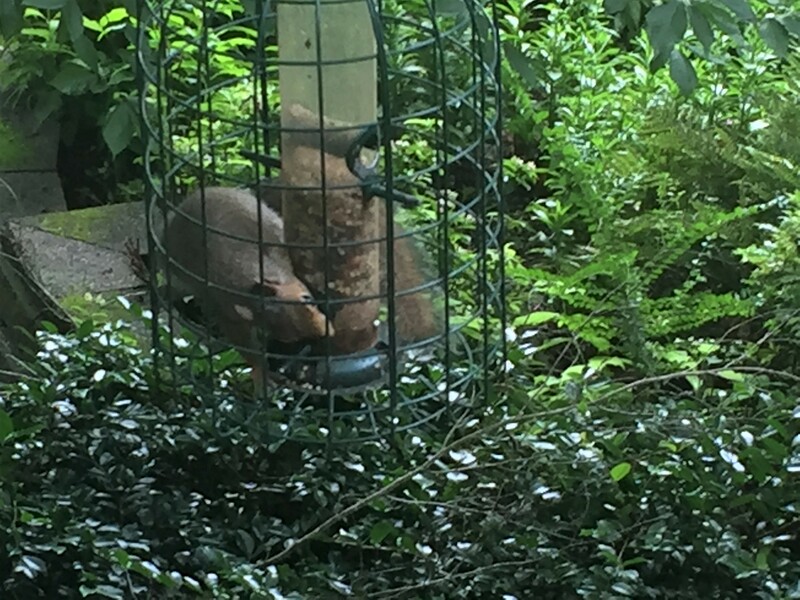 The feeder supposedly has a wire mesh frame around it that allows birds to get into the feeder but was supposed to keep squirrels out. Well, nobody told the squirrel. Which reminds me of the phrase: “where there is a will there is a way.” Perhaps it is time to recognize that this is the essence of the problem today with innovation and progress. It is not about monetization or journey mapping alone … it is about the will to do something even when it is clear there is a compelling business case. In other words … culture matters. We see this all the time, Joel. Two utilities offer the same programs with the same features, but one utility sees more uptake and higher satisfaction. It’s about the willingness to execute. Organizational culture is the secret sauce. Next Next post: Machine Learning is Alchemy?